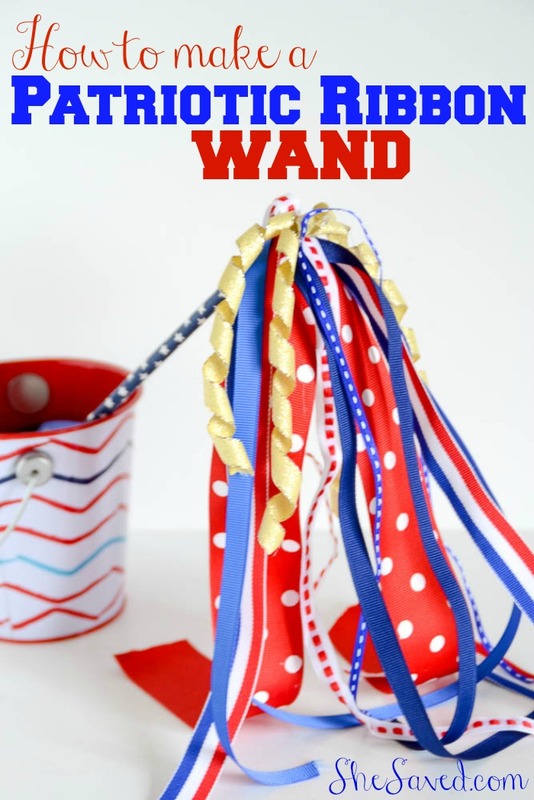 These fun Patriotic Ribbon Wands are great for parades, backyard BBQ fun, or little ones that are too young for sparklers. 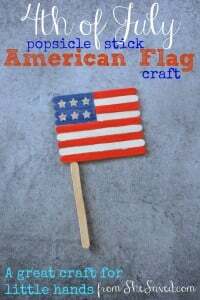 They are so easy to put together and the kids will have so much fun running around twirling all of the red, white and blue as they celebrate the 4th of July! 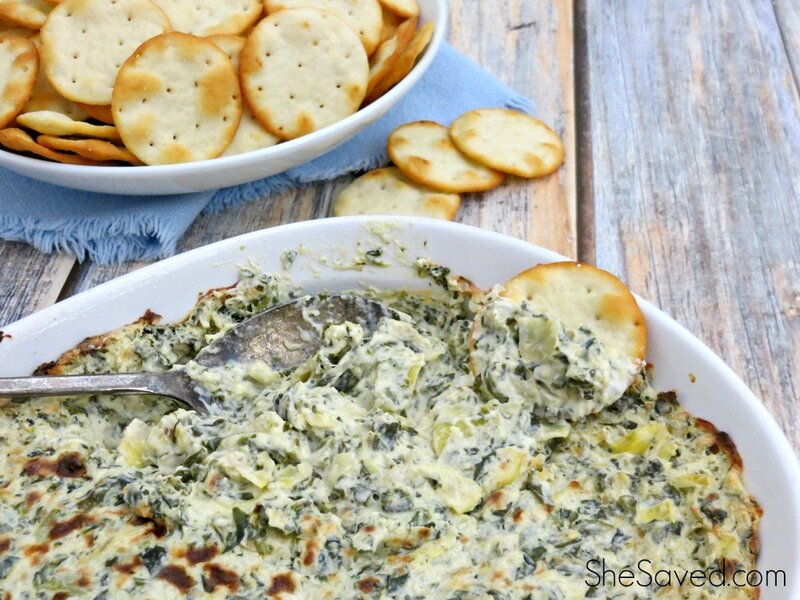 Cut your ribbons between 18 – 24 inches long. 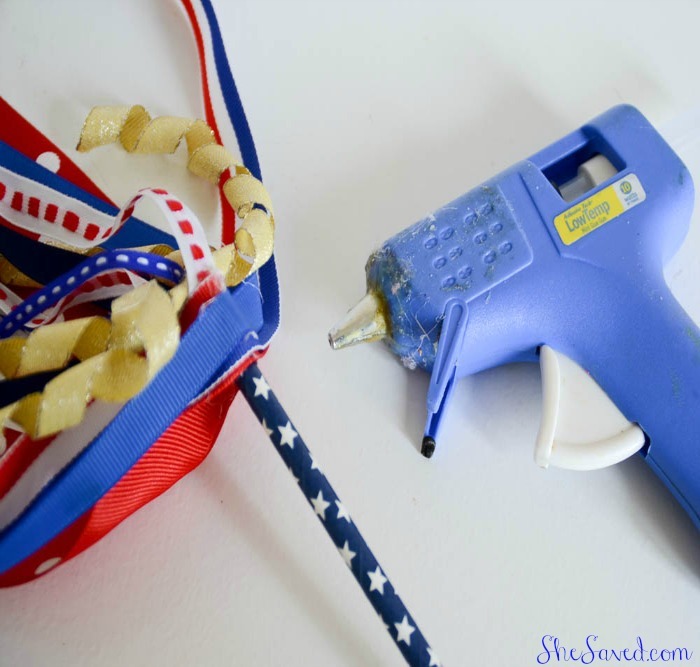 Hot glue the largest/thickest ribbon first by gluing the center around the end of your paper straw. 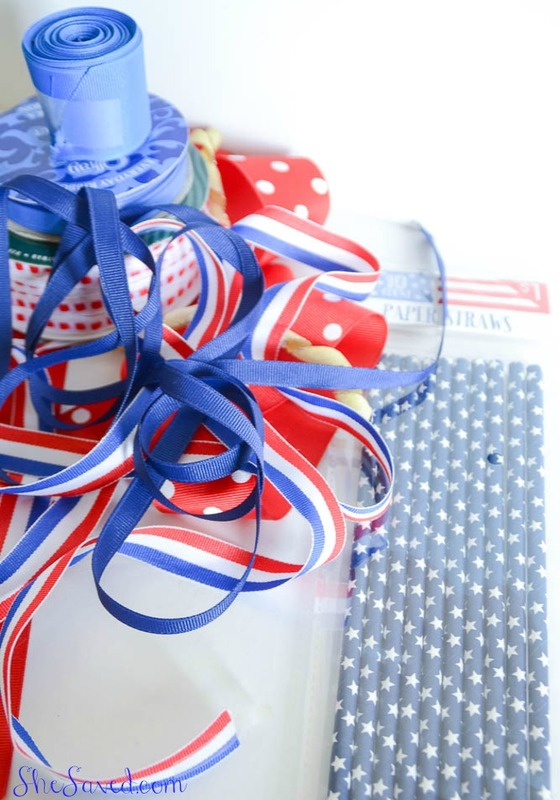 Continue with each ribbon alternating direction but continuing to glue the center of the ribbon to the end of the straw to create a pom pom effect. Make sure the glue is completely dry before giving it to a child. 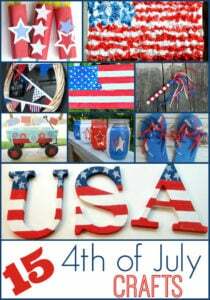 These also make great table decorations and party favors! 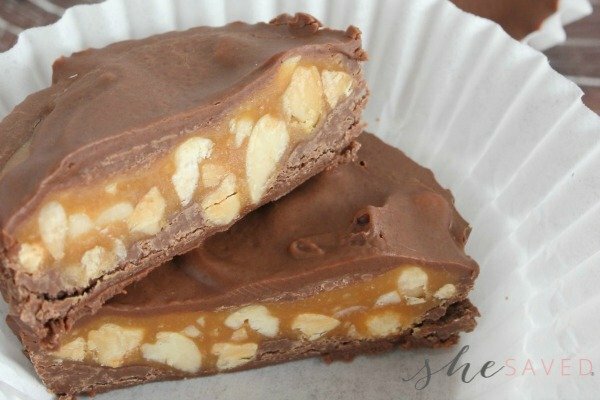 I’m a huge fan of desserts that are easy to make, delicious AND can fit the holiday theme! 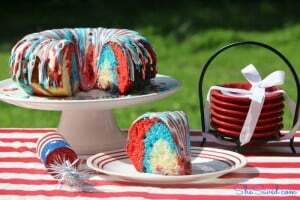 This Patriotic Bundt Cake Recipe qualifies for all three of those categories and is sure to be a hit at your red, white and blue festivities! 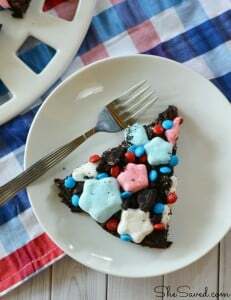 This is another recipe that the kids will love to help with, and they will especially love the decorating part!